an evening event held on the 29th November at the St Pancras & Somers Town Living Centre, located in the Francis Crick Centre. The event was organized by the Living Centre and was attended amongst others by representatives from the Knowledge Quarter, King’s Cross Urban Partners, homeless charities St Mungos, C4WS homeless project and New Horizons as well as representatives from Camden Council and Keir Starmer MP. 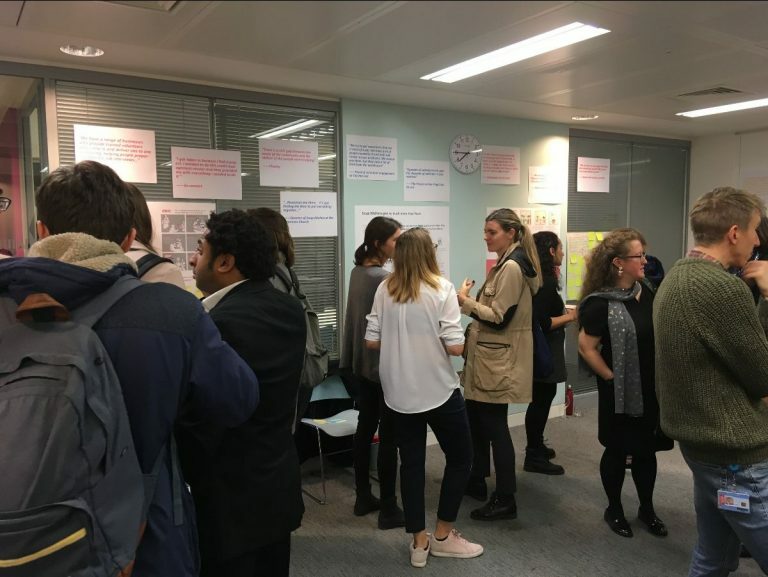 MA SEDI students were invited to present their research findings and initial concepts for the ‘Rough Sleeping Camden’ Impact Project. The challenge is to better understand the experiences of rough sleepers, giving them a voice and finding new ways off the streets. The presentations were well received, and the students held many engaging conversations, gained further insights and built relationships for the co-developing of their concepts. 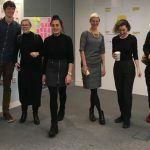 The service design students are working in 7 teams and the collaborative partners in this project so far are the North London YMCA, the American Church soup kitchen, the King’s Cross Baptist Church soup kitchen, The Job hub at the Living Centre and the Spectrum Day Centre in Camden. The concepts and service propositions will be presented at the end of January.